Does anyone else stress cook??? Today has been an all out booger of a day. I spent hours on the phone making frustrating phone calls to fun places like health insurance companies, doctors and human resources hither and yonder while my children ran around the house terrorizing because I couldn’t deal with them properly right then. My outdoor loving children somehow hate going outside once Mommy gets on an important phone call. They’d rather stand at my feet shouting things like “I’m hungry”, “I went potty” and “She took my toy ’cause I hit her with it”. This ended up in my three year old scattering crayons from one end of the living room through the kitchen and den, not to mention his toy trucks and legos. All sorts of other things have been going wrong and bumming me out, plus I am physically something of a wreck, but this is not meant to be a whine fest. Any stress eaters out there? I know we’ve all heard of stress eating. I do that some, too, but sometimes stress just triggers me into a massive cooking frenzy. I can whip my frustration in to batter, chop some veggies into submission, beat the snot out of some eggs, and bake the bad away while filling my home with a deliciousness. It’s something fairly mindless and soothing because I can control the outcome and see almost guaranteed pleasant results from my efforts. It makes also makes my family happy, even whiny little boogers who like to pester the living daylights out of their mommy when she just CAN’T. 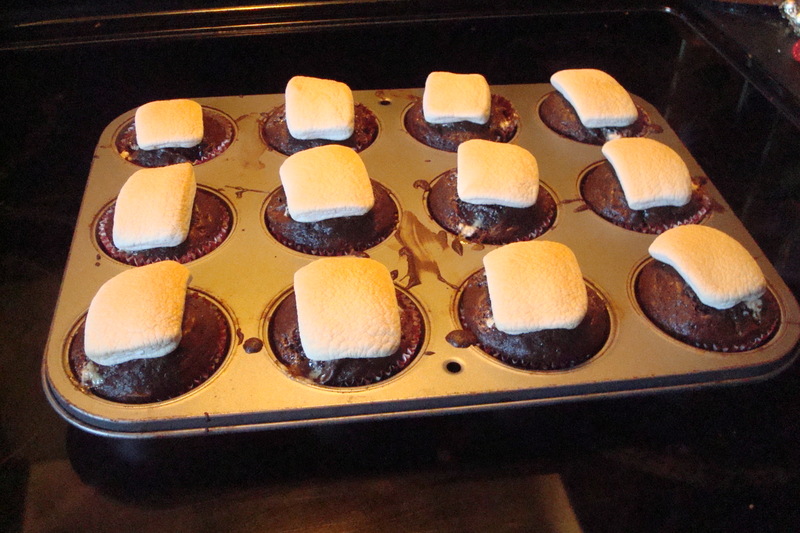 A great stress reliever for me is the simple act of cooking….ALOT! What is comfort food for you? 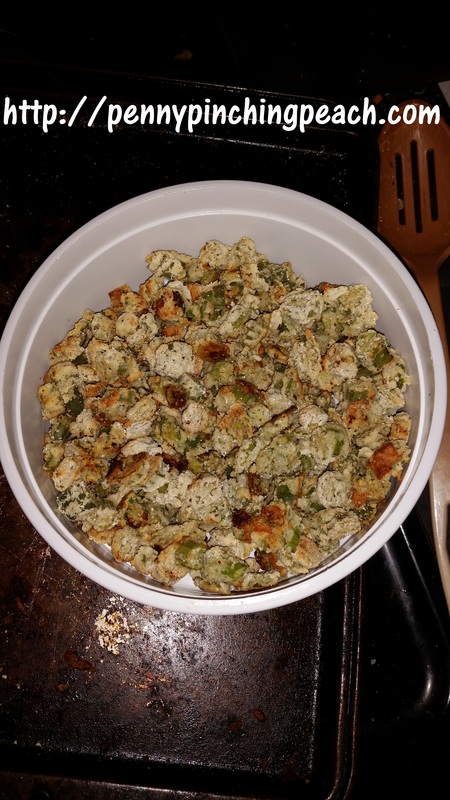 Want to make one of my family favorite comfort foods, passed on for several generations? Try my recipe for Grandma’s Sunday Special Ritz Cracker Chicken! Categories: Cooking With Coupons | Tags: anxiety, baking, chocolate is medicine, comfort food, cooking, coping, diet, food, parenting, stress, stress cooking, stress eating, stress relief, ways to cope | Permalink. With school just starting, I thought I’d share a few suggestions for a variety of after school snacks. There should be something to make any kiddo happy in this list, from homemade junk food to truly delicious healthy options! This is a super simple and versatile cookie recipe you can whip up in a snap with whatever mix you have on hand. Try it! 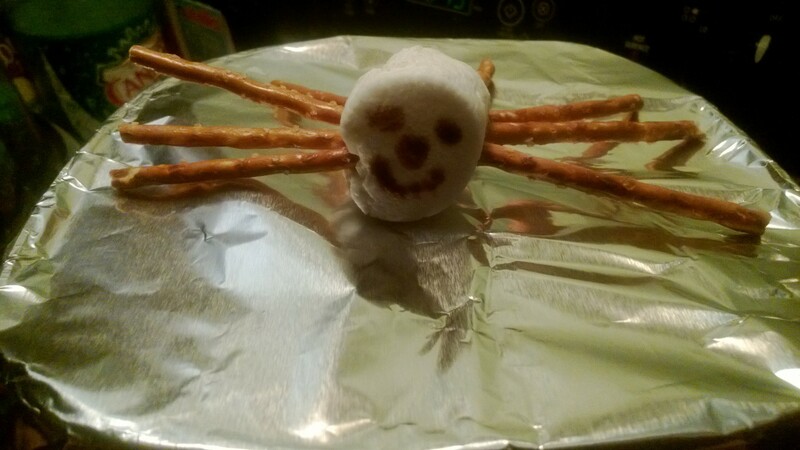 This post has a few creative, cute and quick snack ideas, including the friendly spider below. Anyone can do these, even kids! 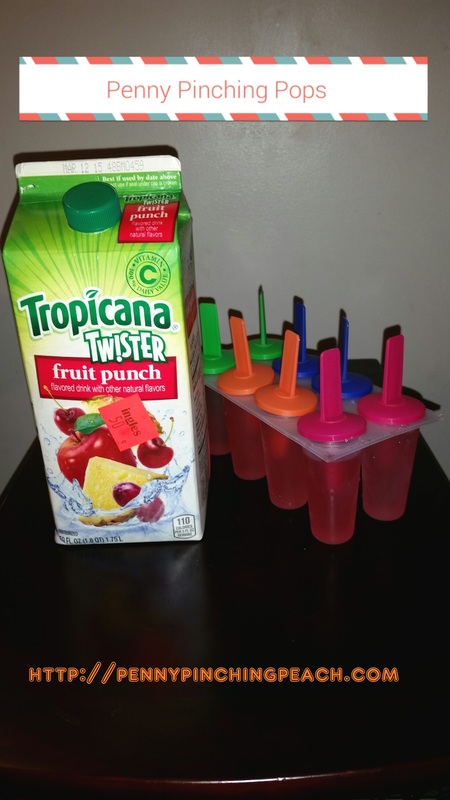 Try these refreshing and inexpensive homemade popsicles! You won’t regret it! 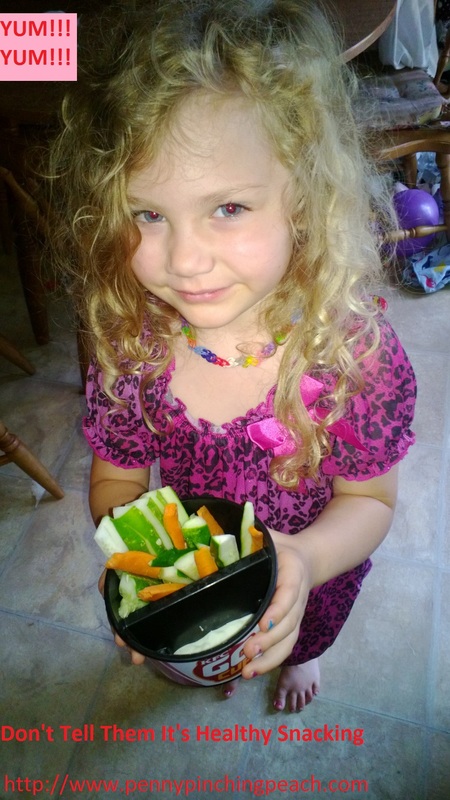 Here’s a list of fun, easy and very healthy kid approved snacks! Many of these can also be made by the kiddos themselves. Completely Healthy Cookies? Yes, Please! Do you love yogurt, but not all the sugary content or the high price tag on individual servings? This is the perfect idea for you! Love s’mores, but no time for campfires for awhile? Here’s your solution! Categories: Cooking With Coupons | Tags: after school, after school snack, cake mix, cookies, cooking, cupcakes, food, healthy snack, homemade, Kids, parenting, popsicles, recipes, s'mores, snack, yogurt | Permalink. Want a quick & healthy dish for a summer lunch? 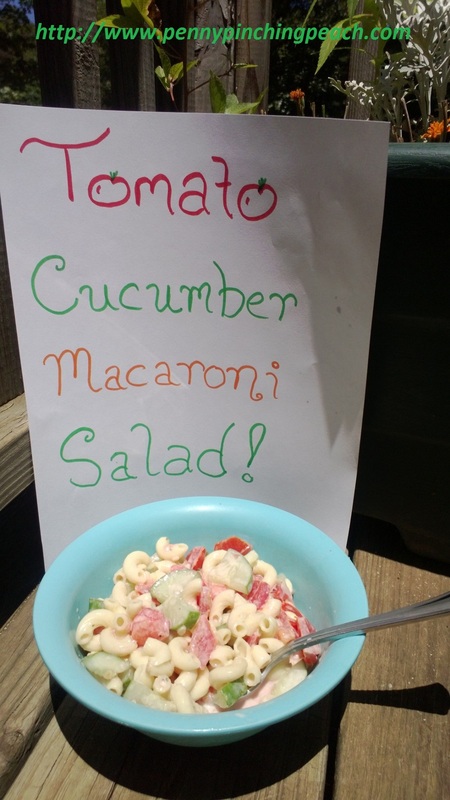 Try my Tomato Cucumber Macaroni Salad! It’s super simple, and a hit any time I make it. I made it the night before while I was making baked mac and cheese for supper, and let it chill overnight to marry the flavors better. It really did blend the tastes together even more strongly by morning. Boil two cups of macaroni noodles to al dente. While the noodles are boiling, chop up two medium cucumbers and two medium tomatoes. Toss in a medium sized bowl with a bit of salt and pepper. When ready, drain the noodles and rinse with cold water until they are cooled off. Dump in the bowl with the chopped veggies. Pour in ranch dressing to taste and stir well. You can eat it then or chill overnight. This would be good with sweet onions, shredded carrots, chopped olives, tuna or shredded chicken stirred in, as well. It’s a versatile sort of “dump salad”, and oodles of fun for the palate to play with a variety of ingredients. 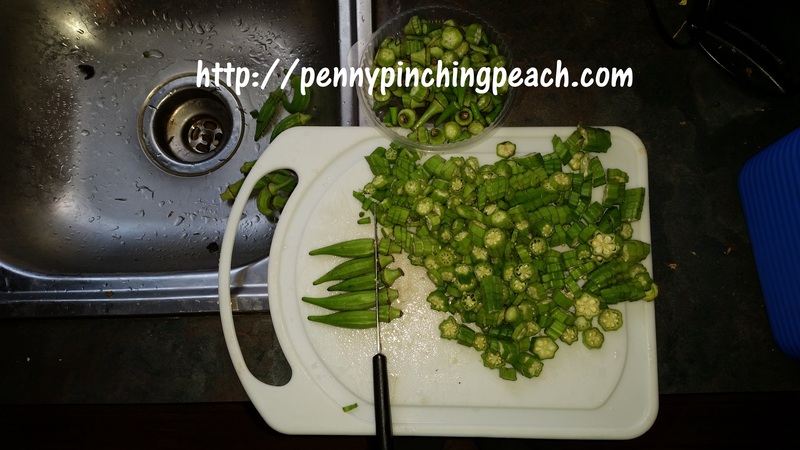 I love to use fresh veggies from my garden for light and refreshing lunches in the summer time, so it varies what I make according to what produce is on hand. What are some of your favorite lunches? What splendid summer veggies do you have an abundance of to gobble up? Categories: Cooking With Coupons, Frugal Family | Tags: budget, cheap, cooking, cucumber, food, fresh, garden, lunch, macaroni, pasta, summer, tomato, vegetarian, veggie dish | Permalink. If you are one of those moms who just wants to quickly throw something together to feed the ravenous hordes in your house, but would prefer that something be healthy as well as faster as a wink and kid approved….this is the post for you! My five year old long ago declared that she hated oatmeal, it was disgusting and slimy, and she would never, ever like it, no matter what. Challenge me, do ya, kiddo? Alrighty then! Challenge accepted! 😉 Guess what? She likes oatmeal. 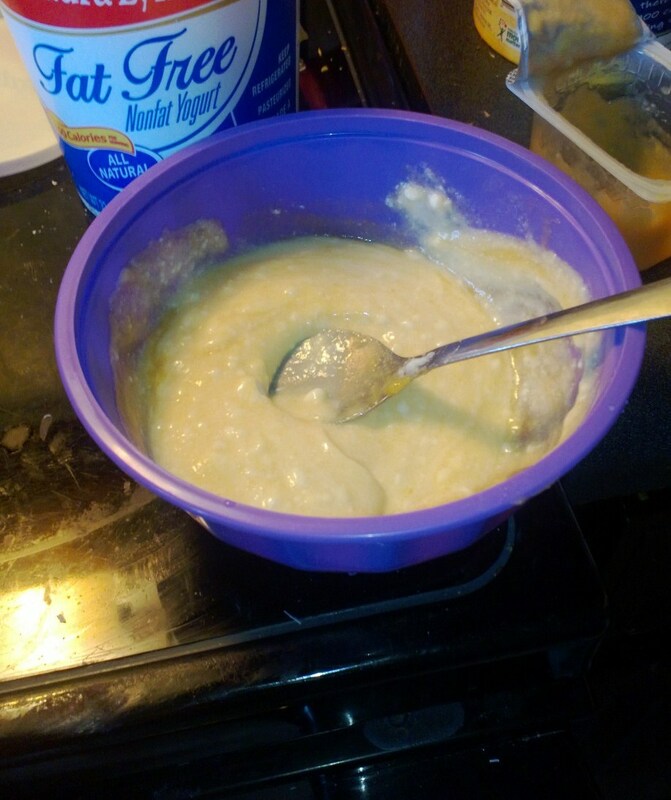 “But only the good kind you make, Mommy, not that other stuff, so I still hate that!” The following concoctions are the few approved by my resident oatmeal snob and the rest of the family. 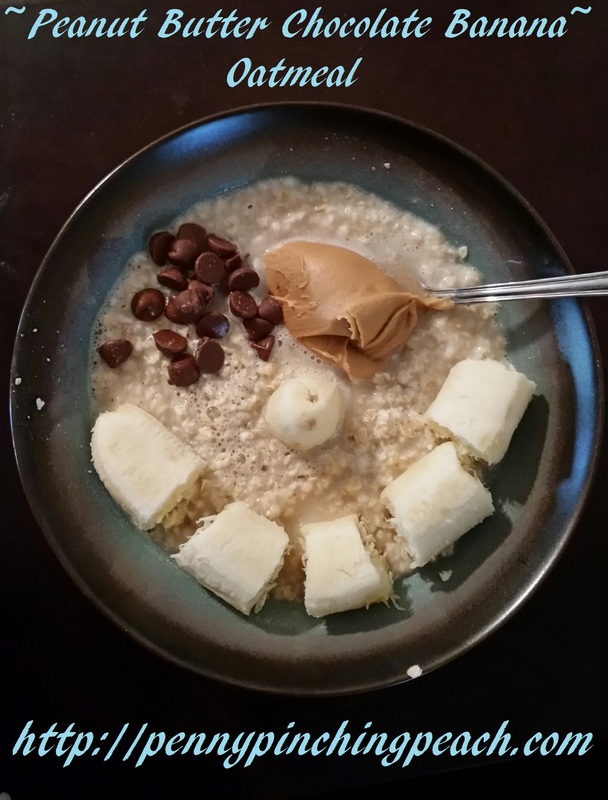 This is my kids’ favorite oatmeal- and one of their most requested breakfasts. It’s Mommy and Daddy approved, too! My husband has me pack the ingredients for him at the fire station sometimes, because it sticks with him pretty well. Another winner is one I call strawberries and cream. You can use chopped strawberries with milk and strawberry jam or chopped strawberries with cream and honey or chopped strawberries and strawberry yogurt. All of them give a yummy effect, so use whatever works in that category. Just strawberries and milk wasn’t nearly sweet enough, and the same with the cream, so the jam and honey helped with that. If you can’t tell, I’m the queen of kitchen improvisation. Lastly, we have another super simple selection that is kiddo approved. 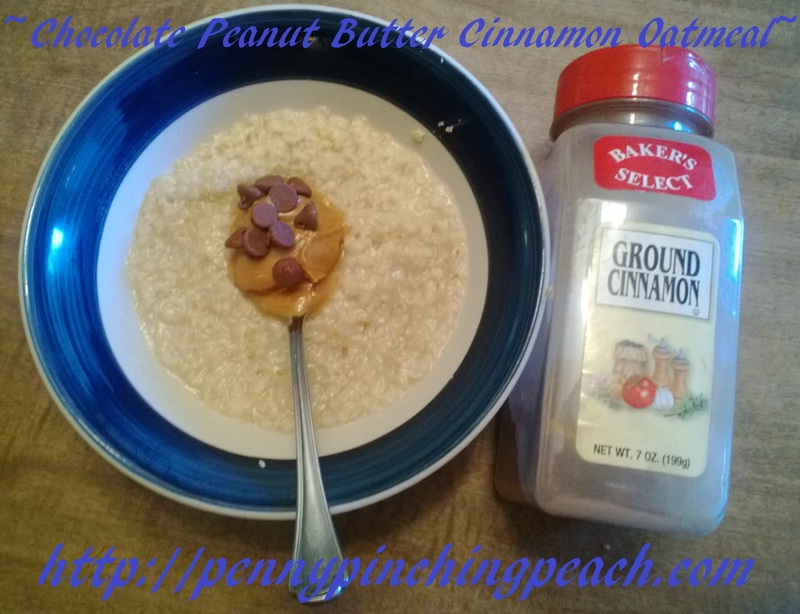 Simply mix in a scoop of peanut butter and a dash of cinnamon, with or without honey or a smattering of chocolate chips. Similar, but mentionably different, from the first flavor. I love meals that can be made quickly, cheaply and healthily from ingredients I normally have hanging around the house, anyway. These definitely fit that description, so I hope y’all enjoy them, too. 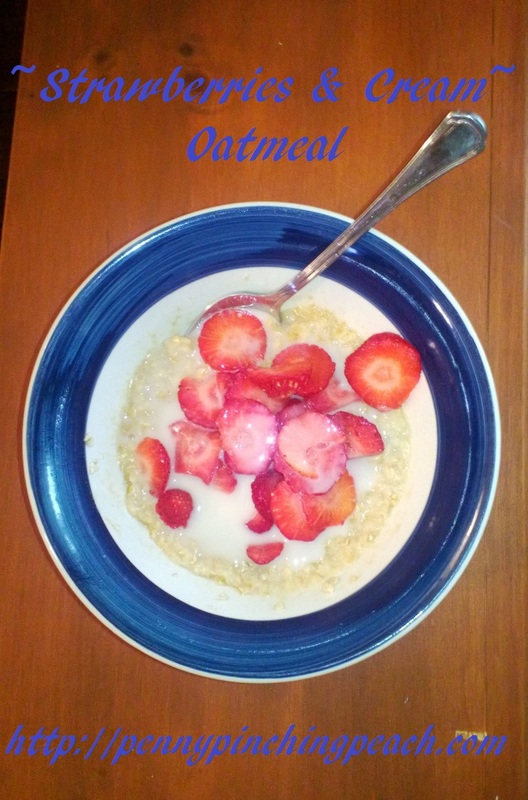 Want another great recipe using oatmeal? 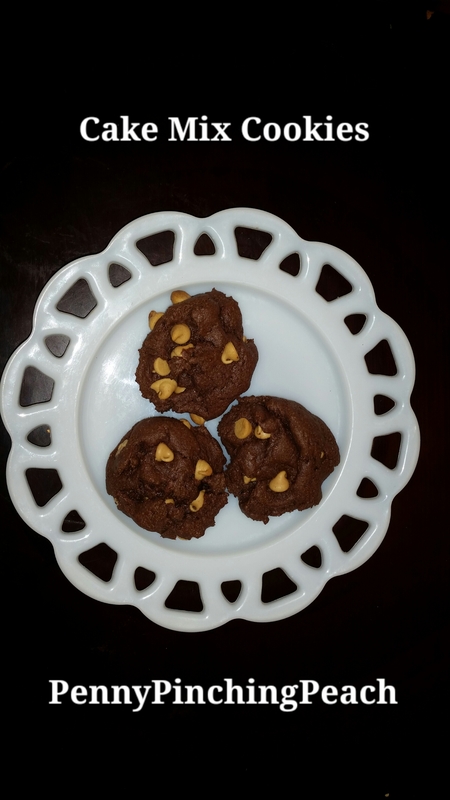 Try my family approved Completely Healthy Cookies for an easy peasy snack that is both healthy and delicious. Categories: Cooking With Coupons | Tags: breakfast, budget, cheap, cooking, diet, diy, easy breakfast, easy meal, family, favorite breakfast, flavor, food, health food, healthy, high fiber, homemade, iron rich, kid approved, oatmeal, parenting, protein, quick breakfast, quick meal | Permalink. My family loves super soft cookies, and I love simple and inexpensive treats. While I don’t always keep cookies around, sometimes nothing else will do. 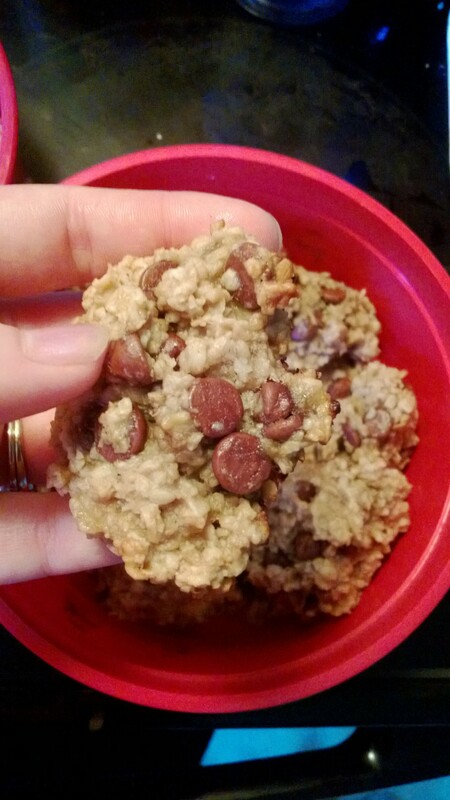 I usually have some cake mixes stashed in ym cabinets, so I decided to try out this easy cake mix cookies recipe, shared at the bottom of this post. The beauty of this recipe is it’s versatility. You can literally do pretty much any flavors you can get in a cake mix and throw in whatever mix-in tickles your fancy. My husband is a fiend for chocolate and peanut butter together, so this time I went with devil’s food cake and peanut butter chips. It was the bomb diggety! This recipe is a terrific choice for cooking with kids, because it’s pure simplicity and no fuss to make, and what kid doesn’t like cookies? 😉 My five and two year olds had a good ol’ time dumping in the ingredients, doing quality control taste tests on the peanut butter chips, dumping spoonfuls of batter on the cookie sheet, and eating the results of their labor. Some other flavor combinations I think would be yummy? Lemon cake with vanilla chips, almonds or coconut. Chocolate cake with white chocolate, coconut, raisins or nuts. Vanilla cake with chocolate chips, dried cranberries or nuts. Peanut butter cake with chocolate chips, Reese’s cups diced up or nuts. Orange cake with dark chocolate chips or dried cranberries. Strawberry cake with dark or white chocolate chips. I’ll stop now, but you get the picture. There are TONS of possibilities! What flavor combinations can you come up with? 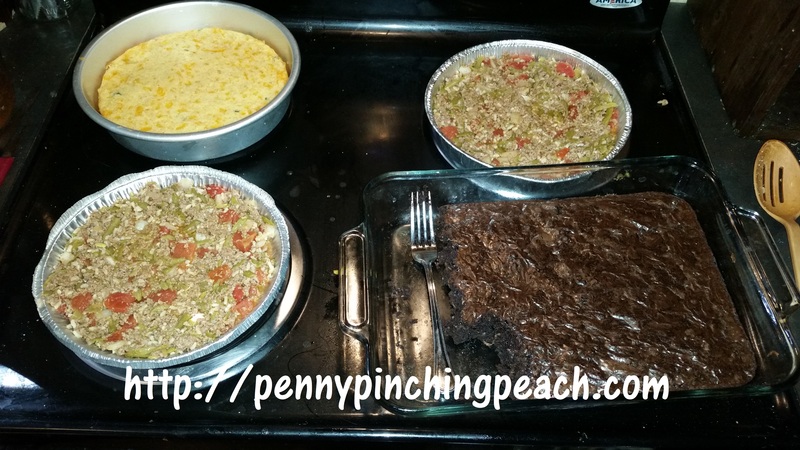 Here is the link to the simply sweet recipe I used as my base. Categories: Cooking With Coupons | Tags: budget, cake, cake mix, cake mix cookies, cheap, children, cookies, cooking with children, cooking with kids, dessert, easy cookies, easy dessert, food, parenting, quick cookies, quick dessert, recipes, snack | Permalink.